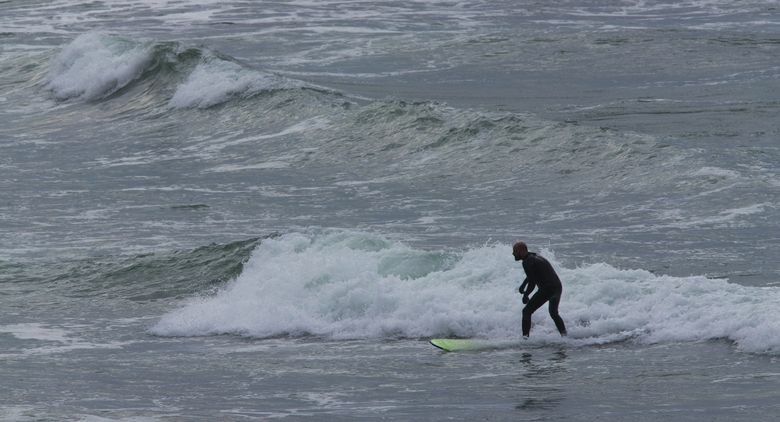 A “devout urbanite” finds a lot to love amid the waves at the Oregon Coast destination. 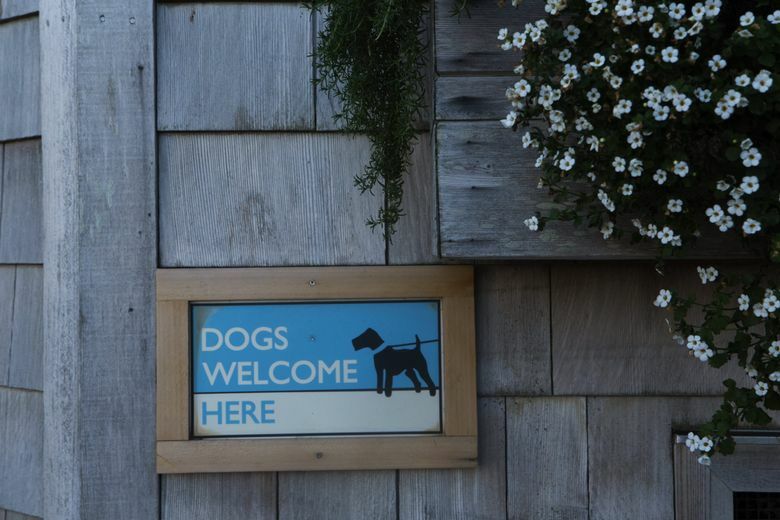 About a 4½-hour drive from Seattle, or about 90 minutes’ drive from Portland. I stayed at the very comfortable, right-on-the-beach Ocean Lodge, theoceanlodge.com, at the south end of town (where it shares a view with its more-expensive neighbor, the Stephanie Inn). 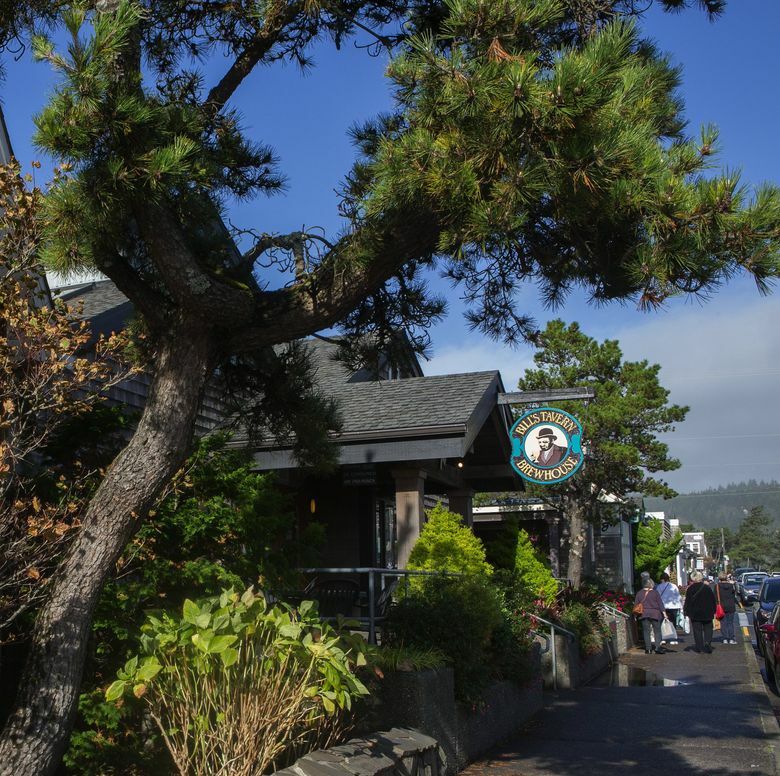 Cannon Beach is full of both oceanfront and ocean-adjacent hotels; make sure you know what you’re getting, as there’s nothing like a room with a view (or a balcony). Try cannonbeach.org for listings, and tripadvisor.com for reviews. Ecola State Park: a short drive from downtown. Parking is $5/day. 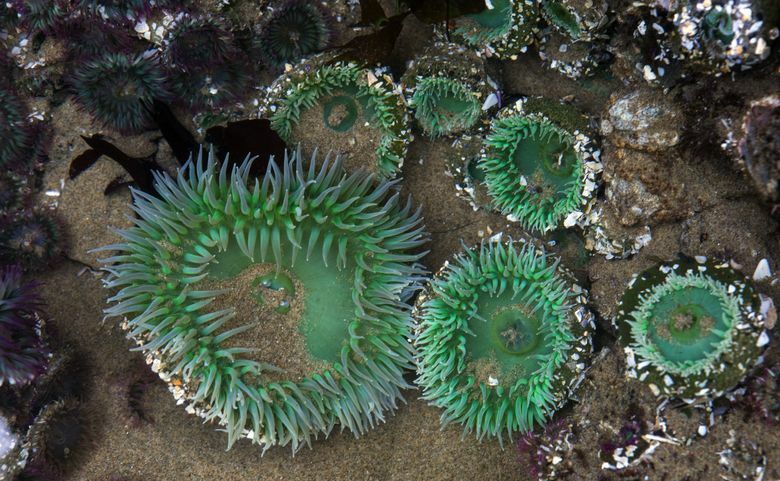 More information: oregonstateparks.org. 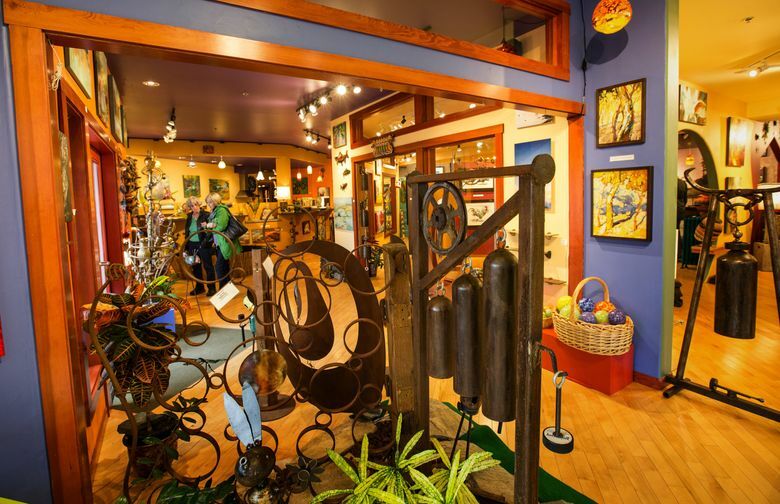 Cannon Beach History Center and Museum, open Wednesday through Monday in the afternoons. 387 S. Spruce St., cbhistory.org. 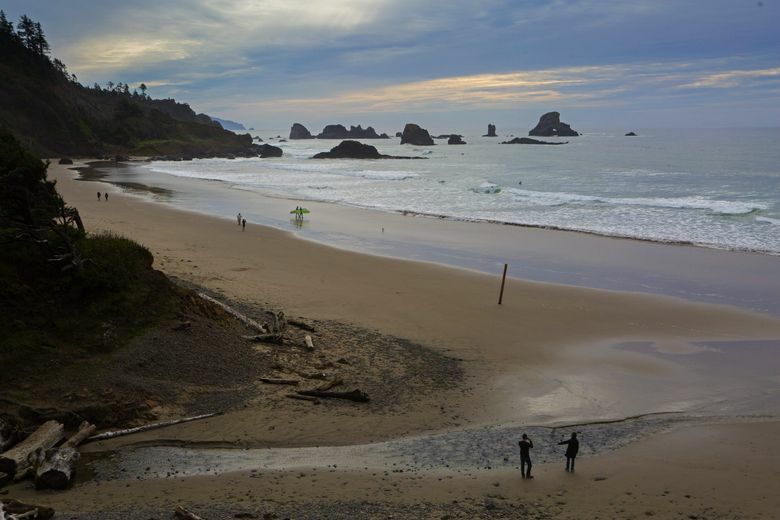 At Cannon Beach, you watch the waves. On calmer days, they edge the shore like overlapping rows of lace; on stormy mornings, they crash like flowing avalanches. Hearing that constant, rhythmic refrain, you stare out at the horizon, which stretches in an endless line that weds the gray-blue water and (if you’re lucky) blue-gray sky. Is someone, a world away on the other side, staring back? 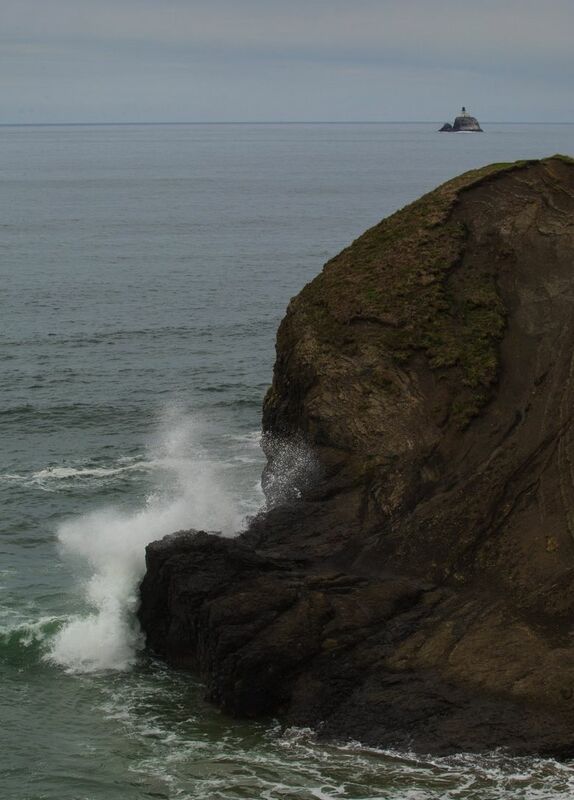 Look at, but don't touch, Haystack Rock. 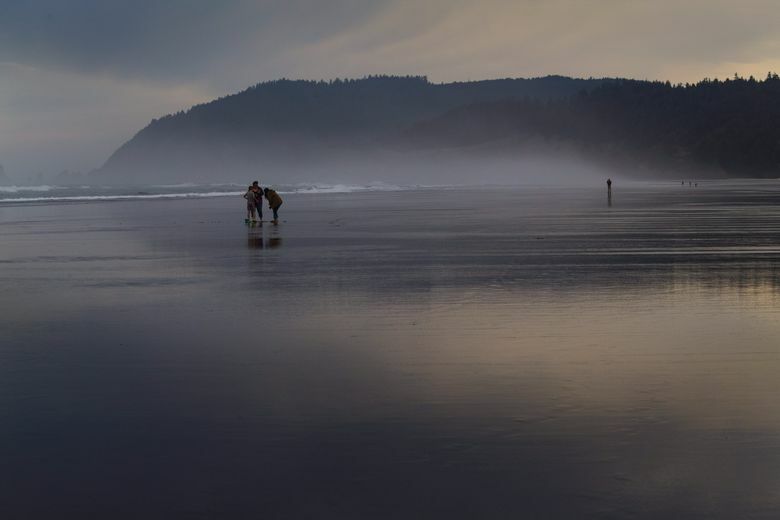 Though a lifetime Pacific Northwesterner, I’d never been to Cannon Beach until last year. It was one of those why-has-nobody-ever-TOLD-me-about-this moments (OK, somebody probably did and I wasn’t paying attention), and now I think about the place all the time; it seems to reside in my dreams. On a return visit earlier this fall, I pondered why it held such magic for me, a devout urbanite who generally feels panicky if she can’t feel pavement under her impractically shod feet. 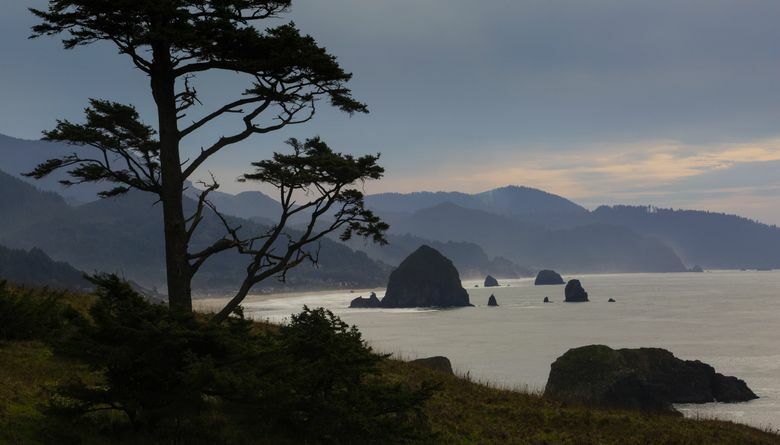 Cannon Beach, about a 4½-hour drive from Seattle, is on the northern end of Oregon’s coast; far away enough to feel like a real getaway, close enough for a quick escape. 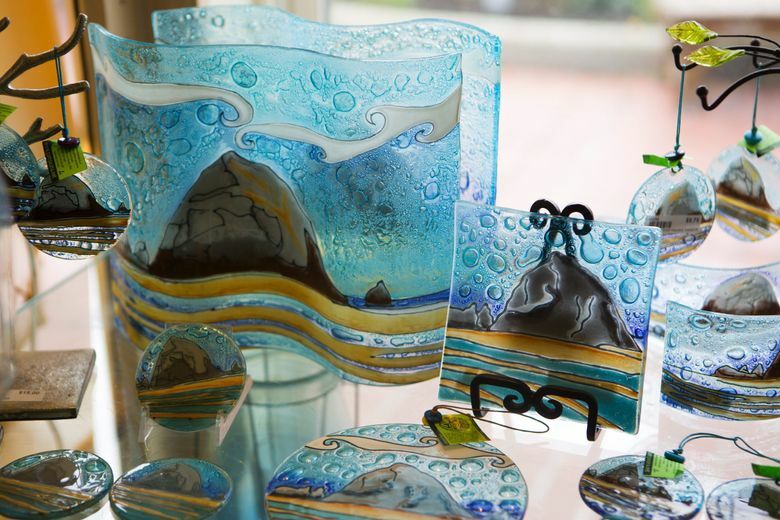 But no one goes to Cannon Beach for the shopping; it’s the beach that calls. 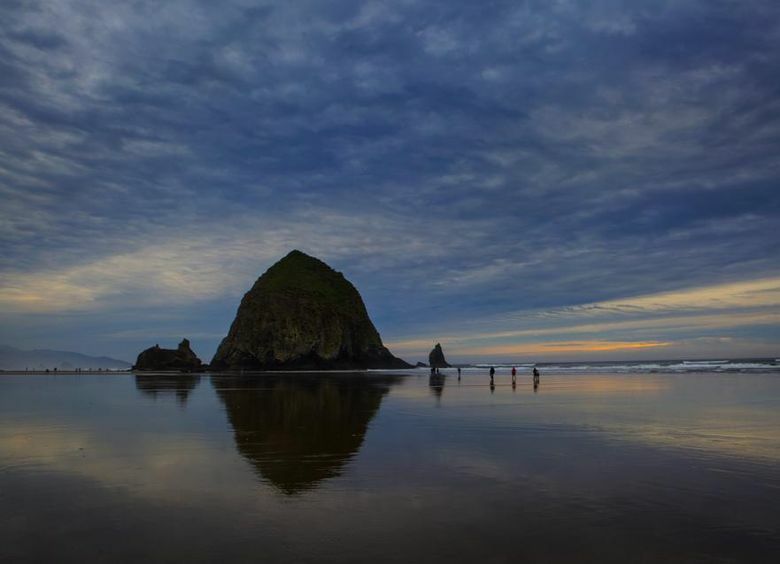 At the center of the town’s serene stretch of beach stands Haystack Rock, the 235-foot-tall monolith that’s become a local icon. Like a mirage, it perpetually seems to be right in front of you, even when it’s actually half a mile away. 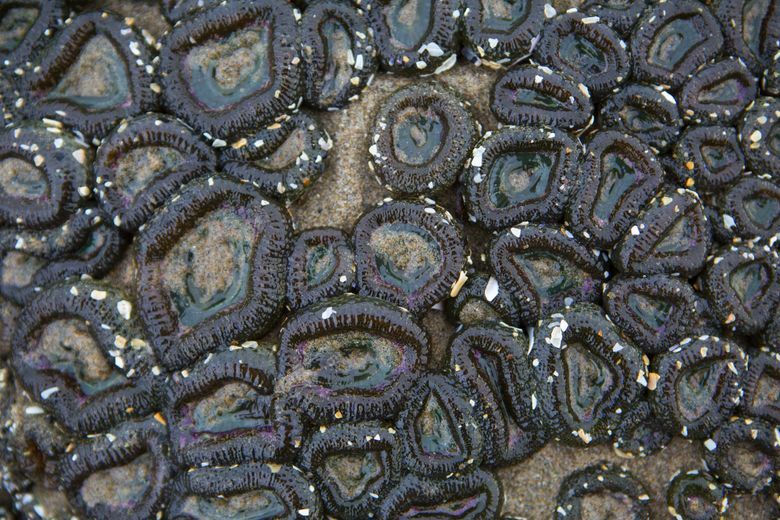 Embroidered with lichens and mosses and dotted with sea birds, it watches over the beach like a benign guardian. In the mornings, you can see it looming in the mist, always seeming just a little bigger than you remembered from the day before. In my two visits (both midweek), the beach never seemed crowded. You always see other people, but generally at a distance; tiny beachcombers vanishing into the sand. On my last visit, I watched a man fishing in the shallow waves. From where I stood, his silhouette was as dark as the rocks around him; he might have been there forever, standing like a statue as the waves washed by. Walking the south end of the beach, on a sunny September morning, I saw not people but footsteps; tiny dog paws and larger human feet, intermingling in loops and crosses. 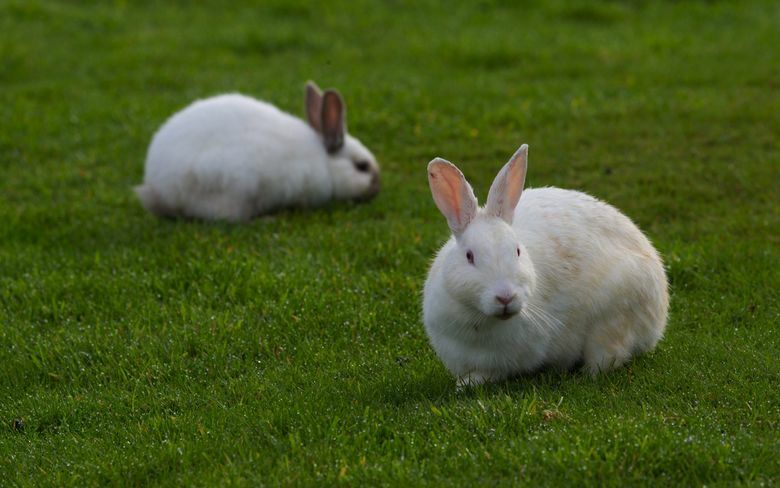 Coming back, I wondered which were mine, and how long they’d remain there. At the Cannon Beach History Center and Museum (which is even quieter than the beach), I bought a handful of historic photos in postcard form. In one, a group of people in 1912-era bathing attire (a handwritten note identifies them as “Brooklyn Camp bunch”) pose for the camera, perhaps on the same log at which I paused, earlier that day, to retie my shoe. In another, two women and a young child laugh as they wade, ankle-deep, in the waters near Haystack Rock; one of them, holding up her skirt, sports the Gibson-girl hair and stylish necktie of a century ago. I wondered if these people, when elderly, made one last trip back to the rock, moving slowly toward the beckoning waves. From the hotel balcony that evening, I watched the same sunset they did, so long ago: a lemon-colored globe seeming to drop into the ocean, its citrus hues filtering into the ice-blue sky. People walking on the beach — tiny figures, from my perspective — paused to look; strangers, sharing a moment together. 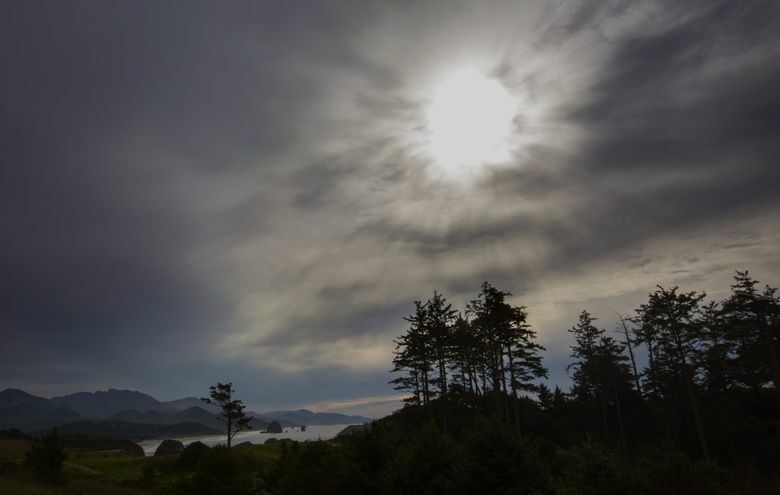 For a different viewpoint by day, I visited Ecola State Park (about a five-minute drive from downtown). There, perched on what feels like the edge of the world, you can see the beach from above — the waves pounding, each flattening out into the next in an endlessly scalloping pattern — and get a bird’s-eye view of a haunting landmark. 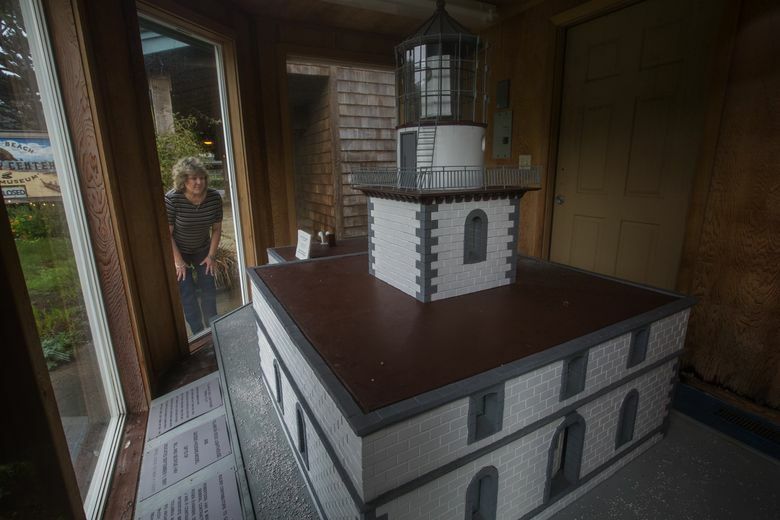 About 125 years ago, a lighthouse was built on a jagged, wave-lashed rock about a mile from shore. 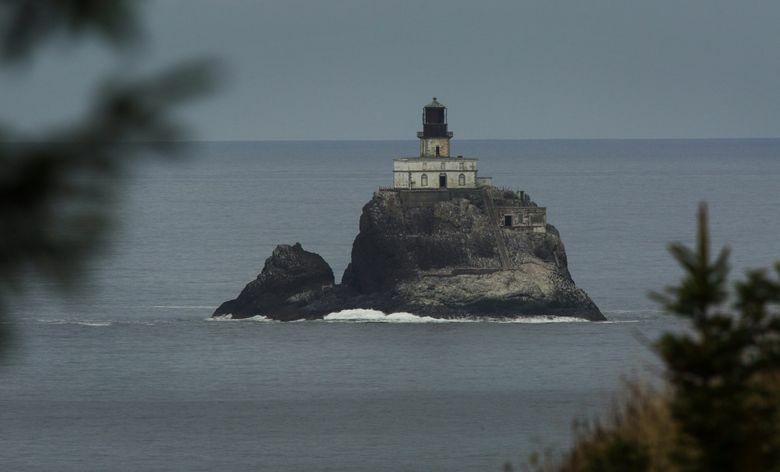 Known as Tillamook Rock Light, it was first lit in 1881 and quickly developed the nickname “Terrible Tilly” due to the dangerous conditions its builders (beginning with an early surveyor, who slipped on the rocks and disappeared into the waves) and keepers endured. It was decommissioned in 1957, with its final keeper writing in the log, “With this final entry, and not without sentiment, I return thee to the elements.” Later it became a columbarium, housing urns full of the ashes of those who wished to spend eternity gazing at the sea. It is closed to visitors; that is, those without a helicopter handy. You can just see it, out on the horizon, looking as if it could be a white bird perched on the rock. The light’s out and the keepers long gone, but the small, square house remains, forever keeping watch. Against it, the waves crash, over and over and over. Things last forever here — everything but footprints.